At E3 2016, Microsoft announced something new that it was working on, codenamed Project Scorpio. The company promised gaming in True 4K and High Dynamic Range (HDR), and little more. 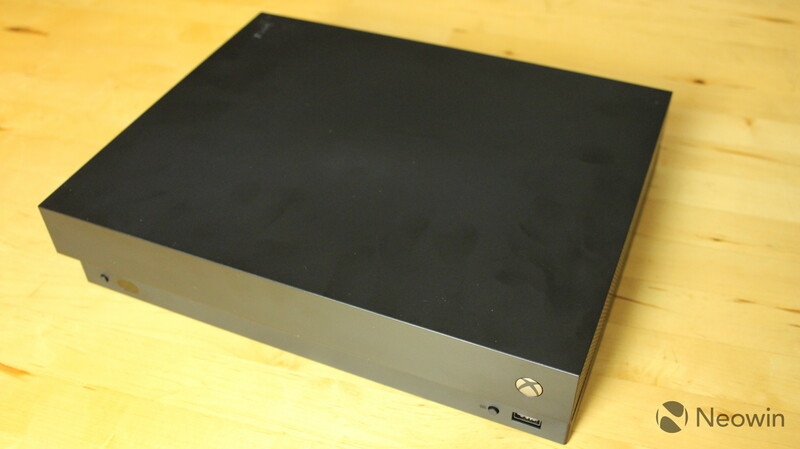 At E3 2017, the firm finally took the wraps off of the Xbox One X (pronounced 'EX'), confirming that it will cost $499 and be available in November. For most, availability is just a few days away at this point, but I was lucky enough for Microsoft to send me a unit last week. To answer any questions that you might have, yes, it's a wonderful experience. Of course, there are no Xbox One X exclusives, only games that have been enhanced for the console. So, is it really worth shelling out $499? Read on to find out. First of all, when Microsoft announced Scorpio at E3 2016, it also announced the Xbox One S, which means that the X is the third Xbox One device, and they all play the same games. 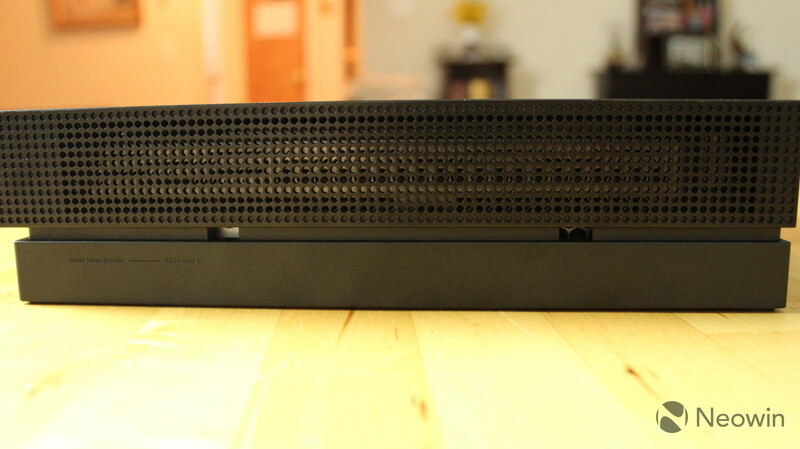 The benefits of the S were that it was in a smaller body (compared to the original Xbox One, which was huge), and users could stream content in 4K, such as Netflix, Hulu, Movies & TV, etc. The Xbox One S does not support gaming in 4K; that's what's special about the Xbox One X. So, when Microsoft reached out to me and asked if I wanted to review the console, the representative told me that they really wanted me to do it with a 4K TV. 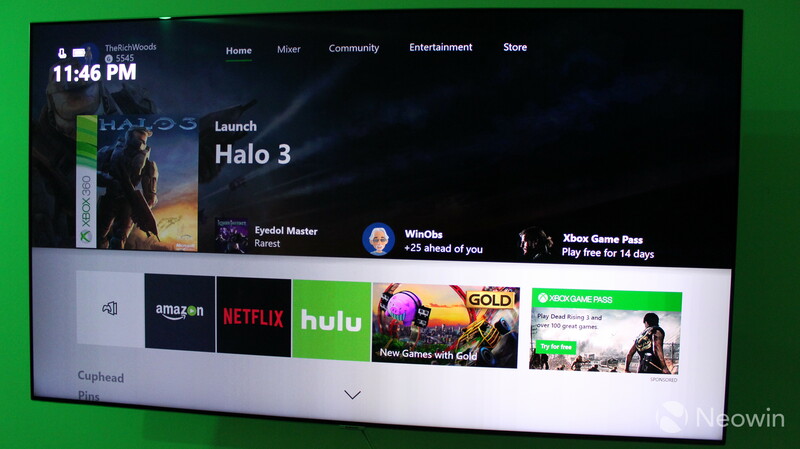 Luckily, Microsoft partnered with Samsung on this, and Samsung sent me a 55-inch QLED 4K TV, and let me just say that this TV is absolutely stunning. Everything that I watch just looks amazing. Between the TV, the console, the services, and the games, the setup that I was provided would cost thousands of dollars, and obviously not everyone will be having the same experience. But in my time with the Xbox One X, I've really seen just how broad of a range of use cases that Microsoft caters to by selling both the Xbox One S and One X in parallel. The new console might not be for everyone, but it's certainly what you'd need if you want the best gaming experience possible. At that time, all I could talk about was the contents of the box. But once you boot up the console, you'll see a new boot animation that's exclusive to the console. Inside of the box, you'll find the console itself, along with the accessories that you'd normally find with an Xbox One device. There's an HDMI cable, a power cable, and while some will be disappointed to hear it, a standard Wireless Controller. I'm not surprised to find that it doesn't come with an Elite Controller, although it would have been cool. 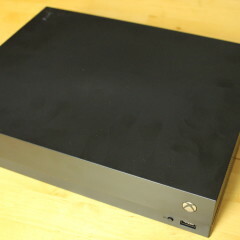 After all, Microsoft isn't charging that much of a premium for the Xbox One X.
OK, so there's nothing really special about the design of the Xbox One X. I really don't know what I was expecting when it was unveiled at E3, maybe for it to levitate on thin air? Or to be painted in some color that hasn't been invented yet? 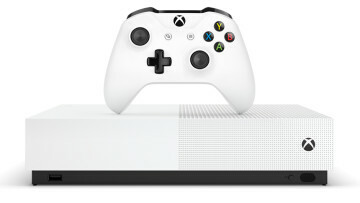 Nope, it's just a black box, a color that was probably chosen to differentiate from the Xbox One S, which is white. After all, when it comes to neutral colors, it's pretty much just the two options. If you want a more colorful design, those are undoubtedly coming at some point when Microsoft starts releasing bundles. 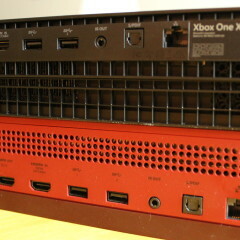 The top side of the console is off-centered, unlike its predecessor. Again, I can't think of a reason for this, other than to differentiate from previous generations. 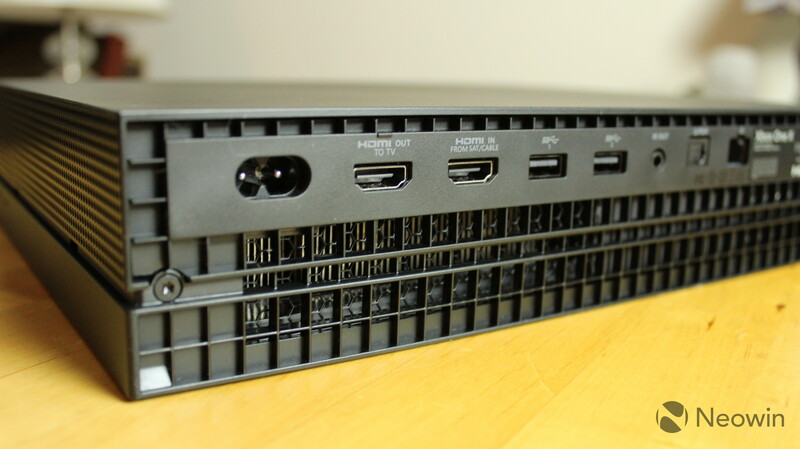 The selection of ports is exactly the same as the One S. Obviously, it's slightly different from the original Xbox One, since there's no dedicated Kinect port. 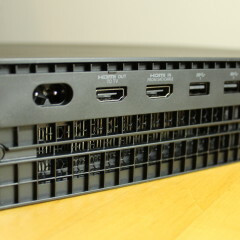 The power jack is off to the left, followed by HDMI out, HDMI in, two USB 3.0 Type-A, IR out, and of course, there's a networking port. 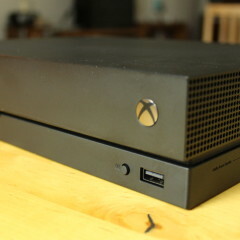 The size of the Xbox One X is ever-so-slightly larger than the One S, although you can see from the image above that the front-facing USB port has been moved from the left to the right, as the IR sensor has switched places with it. The button to eject a disc is now placed directly under the bay, rather than to the right of it. Ultimately, there's nothing surprising in the design. If you're coming from an Xbox One S and you've seen pictures of the X, consider yourself good to go. I would really love to tell you that the Xbox One X is the star of the show here, but it's not. The Samsung QLED Series Q7 55-inch TV is. 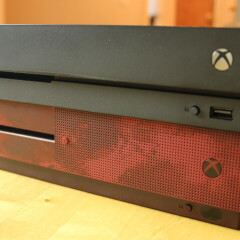 The thing is, the One X is the console you buy when you're all-in, when you want the best experience possible. I think that QLED is the way to go on that. LG's OLED TVs are also beautiful, but there are some drawbacks to OLED, such as burn-in. I don't know how susceptible LG's TVs are to burn-in, but I certainly don't want to spend a couple thousand dollars on a TV and have issues in a couple of years. QLED is what Samsung is calling its quantum dot screens. Basically, there's a quantum dot layer that filters the LED backlight with pure colors. All you need to know is that it looks beautiful. 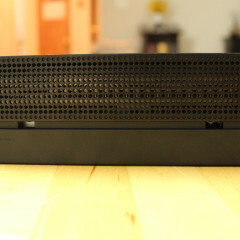 The TV also includes a Game Mode, which reduces latency from 79ms to 24ms. The cool thing is that it's voice-activated, so users can just press the microphone button on the remote and say 'Game Mode' to turn it on. You don't need to mess about in TV Settings. The thing is, when you use an Xbox One S and a One X side-by-side on a QLED TV, there isn't that much of a difference. The real upgrade in my experience came from using the TV itself, which is amazing. 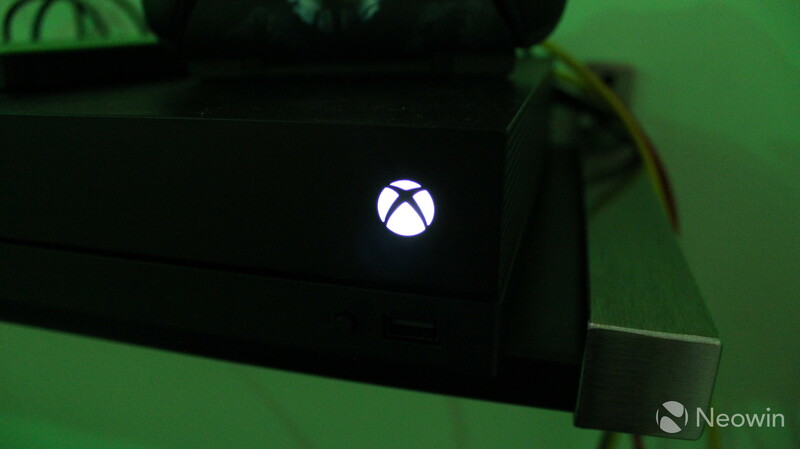 Obviously, when you get your new Xbox One X, you're going to want to get to playing right away, and there are some steps that you'll want to take to do this. It does support a network transfer of games, but I highly recommend getting an external hard drive. The reason for this is that the Xbox One X only comes in a single storage configuration: 1TB. If you're coming from a 2TB Xbox One S, that just got chopped in half. I've repeatedly asked Microsoft if there are more storage configurations on the way, and no one will confirm it. 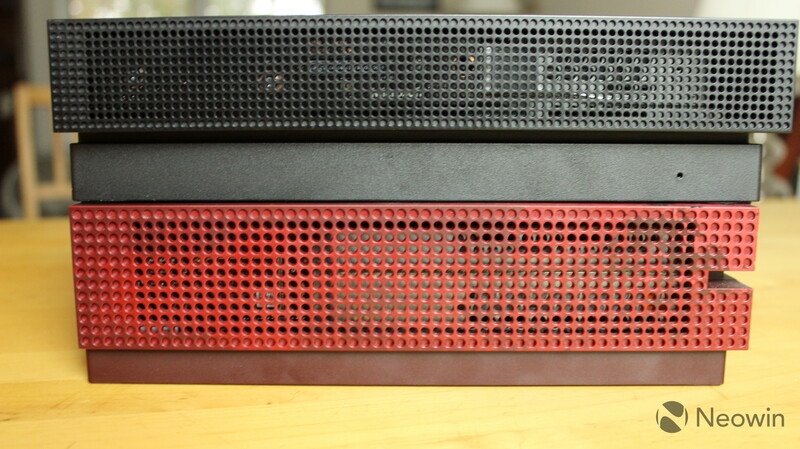 I have been told by numerous people that Microsoft wants you to use an external drive. Remember, 4K assets can cause a game to take up twice as much space than a regular one. I was only able to fit 14 games on my Xbox One X, and only four of them are currently enhanced. Since the console still isn't coming out for a few days, now's a perfect time to get started on transferring your games. 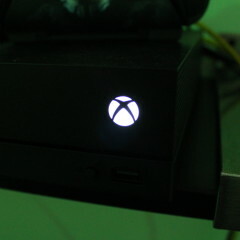 The first thing that you'll need to do is make sure that your console is set to automatically receive 4K game updates. This isn't on by default, as it would uselessly take up space on your Xbox One S. Once that's on, you'll need to update your games. Once you're ready to go, follow the steps in the video above to start transferring your games to the hard drive. 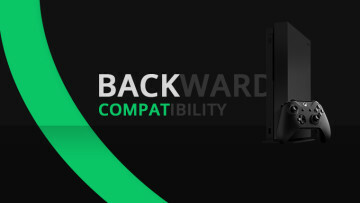 When you get the Xbox One X, follow the same steps to transfer them back. It's that easy, and while it's not an instant process, it's much faster than downloading, even if you have a fast connection. I enjoy talking about software, but you're probably more interested in the next section, so I'll try to keep this brief. The Xbox One X ships with the Fall Update, and it's exactly the same experience that you're familiar with on the Xbox One and One S.
Like all Xbox One consoles, it runs a flavor of Windows 10 that's designed for gaming. 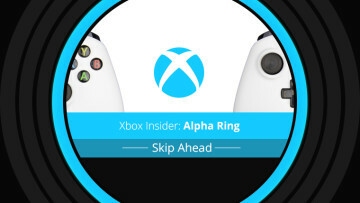 Pressing the Xbox button on the controller opens up the Guide, from which you can return to the Home screen, go to Settings, livestream to Mixer with just a couple of clicks, go to your games and apps, and more. You can also now add content blocks to the Home screen. Rather than just being able to pin tiles (which you can now have 40 of), you can dedicate entire sections of the Home screen to a game or a person. 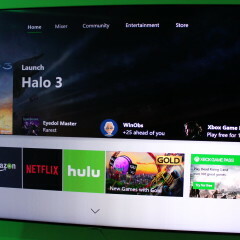 There's also the Community tab, where you'll find a feed of your friends' activities and such, and the Microsoft Store is where you can buy games, apps, movies, and TV shows. Obviously, gameplay on the Xbox One X is the best that you're going to get. Over 170 games are enhanced for the new console, although that doesn't mean that all of them are 4K, HDR, or either of the two. The term 'Xbox One X enhanced' really only means that the developer has improved something. You can find the full list here, where games are marked with which improvements they have received. Many are listed as coming soon or still in development, so even many of the games provided in the review kit are still not enhanced. Out of all of the Xbox One X enhanced games, I spent the most time playing Gears of War 4. There are a few reasons for this. It was one of the first games to receive enhancements, it got the 4K and HDR treatment, and mostly, because I enjoy shooting games. I used the native game clip recording tool that's built into the Xbox One X for all of my clips. While you can change the resolution of the clips recorded, the best setting is 4K HDR, which comes in at 60fps. This was another game that I received that got the 4K treatment, although there's no HDR. It's really not my type of game, although it seems fun for anyone that's into that sort of thing. 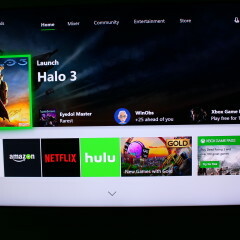 Halo is my favorite video game franchise ever, so I was excited to see all of the support that it's getting for the Xbox One X, even including an Xbox 360 game that's on the Backward Compatibility list like this one. If you wait until 2018 though, Halo: The Master Chief Collection will be enhanced for the console as well. Unfortunately, Halo 3 is neither 4K nor HDR on the Xbox One X. One of the cool things about Xbox is the built-in Mixer. Microsoft bought Beam (now Mixer) last August, and immediately began work on integrating it into Xbox One and Windows 10. And the process of live-streaming your game is so simple that it's insane. If you set up a Mixer account at Mixer.com and link it to your Microsoft account, you're done, no capture card necessary. 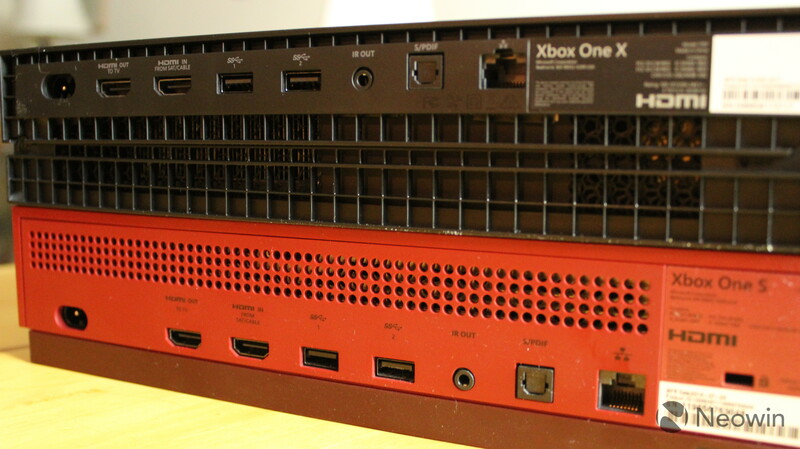 There's no additional configuration needed on the Xbox, assuming that the console is signed into that same MSA. Just go to the guide and start streaming. 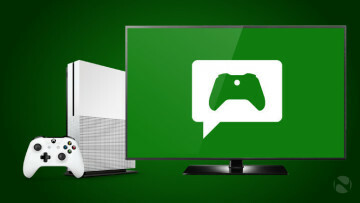 Naturally, there are additional configuration options, such as if you want to show the chat on the screen, whether to include a microphone, your console's camera (Xbox One now supports any USB camera too), and more. Still, it's just the easiest streaming experience out there. The one point that I've tried to get across in this review is that the Xbox One X is the console you buy when you're all-in for the best gaming experience that you can possibly get. And this experience doesn't just include the console, because you're also getting a fancy TV, speakers, and whatever else you might need for an immersive experience. I do think that most users will be just fine with an Xbox One S. After all, it's still an excellent device, and you can stream video content in 4K and HDR. Games look great too, as long as you have a great TV to display them on. I feel like the main thing that gave me an excellent experience is the Samsung QLED TV. The Xbox One X certainly helped to use it to its full potential, but if you're looking for an upgrade, you should probably start with the display technology. Of course, Microsoft says that you'll see improvements even if you're on a 1080p TV, and that doesn't surprise me. With the way that colors work at different resolutions, 4K assets allow the Xbox to put more color into each pixel at a lower resolution. So let's answer the burning question. Should you upgrade from an Xbox One S? The answer is: only if you're absolutely going for the best experience possible. Don't expect massive changes, because there aren't any. 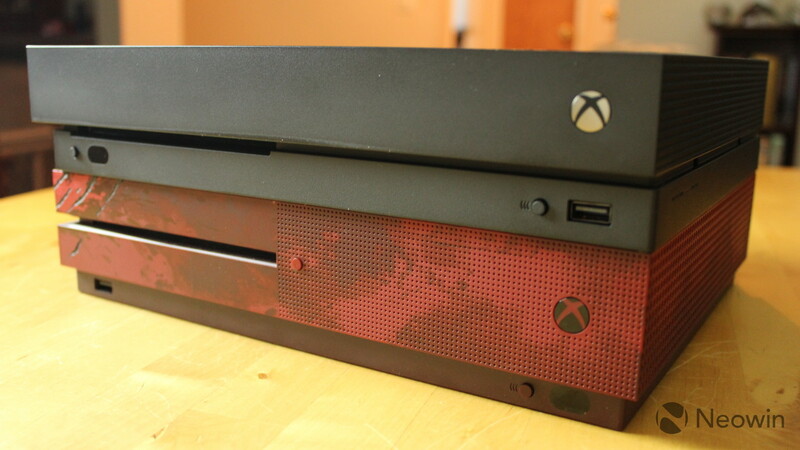 Should you upgrade from the original Xbox One? Almost certainly. 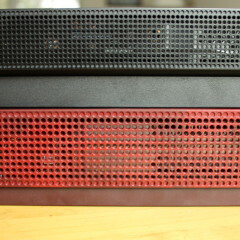 The form factor is a massive improvement, and the graphics are better. Final question: if you're buying your first Xbox One, should you get the One X or the S? 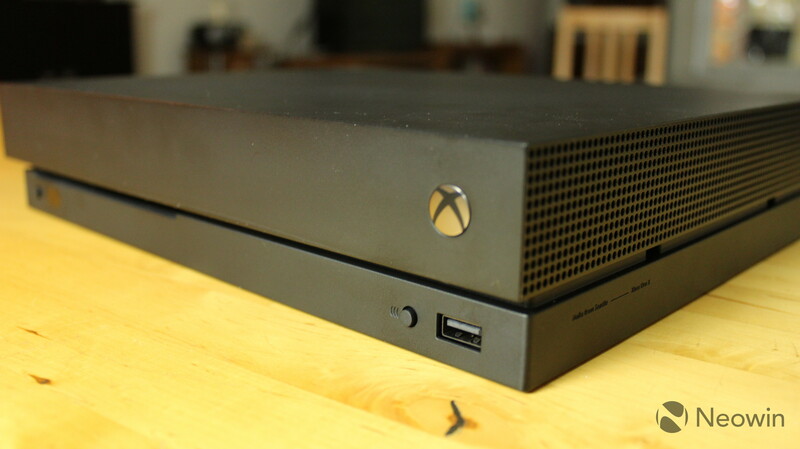 I'd certainly say that you should get the Xbox One X. Even if you're not undergoing a massive home theater upgrade, be prepared for when you do. 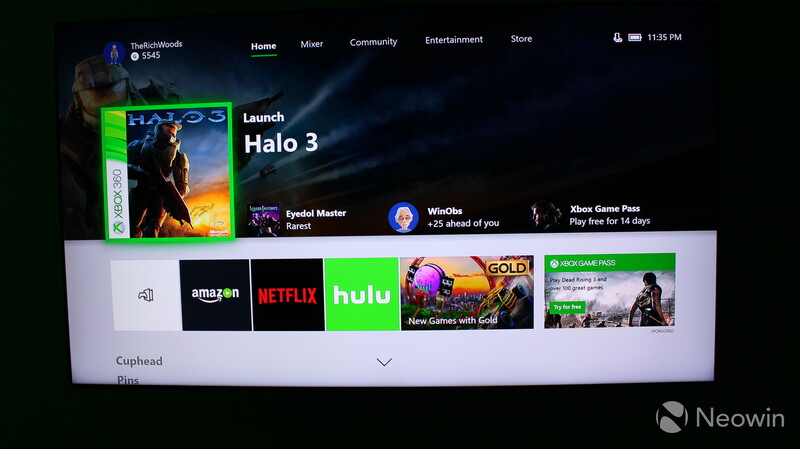 When you upgrade your 40-inch 1080p TV to a 65-inch QLED 4K TV, do you really want to buy a new Xbox? Of course not. I guess my advice would be that if you have an Xbox One S and you're satisfied with it, you're still good for a while. Otherwise, take the plunge. One last thing I want to say is that I really feel like Microsoft is in a better position to offer the best gaming experience than Sony is. You'll notice an increased gaming focus from Microsoft lately, because with Windows as the only truly viable PC gaming platform, the most powerful gaming console, Windows Mixed Reality, and to make all of those things work in sync with one another, the firm is in a unique position to serve gamers.